Tehran is particularly turned off by his use of chemical weapons and might be ready to play a role in negotiations. As opponents of a strike against Syria scramble to find alternative avenues for a peaceful solution, there is one murky diplomatic route, rarely mentioned, which now seems more necessary than ever to explore: talking to Iran. Contrary to conventional wisdom, Iran’s support for Bashar al-Assad is neither unconditional nor everlasting. Despite having assisted the Assad regime from the beginning of the conflict with weapons and personnel, the war in Syria has not strengthened Iran, which likely wants to get out of the Syrian quagmire as soon as possible -- if it can do so with some influence in Syria intact. First of all, the war has created a regional image problem for the clerics in Tehran. Since its 1979 Islamic Revolution, Iran has strived to be a beacon for the downtrodden people of the Muslim world and a standard-bearer against what it sees as oppression by America in the region. Assad’s carnage against fellow Muslims makes Iran look really bad on the Arab street, where Iran tried hard to make the Arab Spring look like a logical extension of its own revolution. Iran’s support for Assad is also financially costly and strains an economy already suffering under sanctions, inflation, and widespread mismanagement. This is partly why Iran wouldn’t be able to afford a proportionate response to a U.S. attack on Syria. As Meir Javedanfar has argued, Iran wouldn’t want to risk the loss of hard-to-replace anti-aircraft systems and fighter aircrafts, or to expose its nuclear facilities to attacks from Israel. Lastly, propping up Assad after his alleged use of chemical weapons against his own people is causing rifts in the Iranian leadership. On Sunday, Iran’s éminence grise – and presidential ally – Hashemi Rafsanjani reportedly blamed the Syrian government for the chemical weapons attack that killed more than 1,400 in a Damascus suburb. The government since denied the remarks, but regardless, the episode exposed a very real dissent within the establishment. Saddam Hussein’s use of nerve gas during Iraq’s war against Iran in the 1980s is an open historical wound for Iranians, including many veterans among government officials who will find it difficult to consent, even tacitly, to supporting the use of such weapons against innocent civilians. In fact, there are plenty of reasons Iran might have already cut Assad loose, were it not for the fact that Syria is Iran’s most important regional ally. But that relationship is changing. The fall of Saddam Hussein has paved the way for much friendlier relations between Iran and Iraq and rendered Syria less vital for Iran than it used to be. So there is a good chance that Supreme Leader Ali Khamenei would be willing to “cut the head off the snake” in Damascus and keep the body. 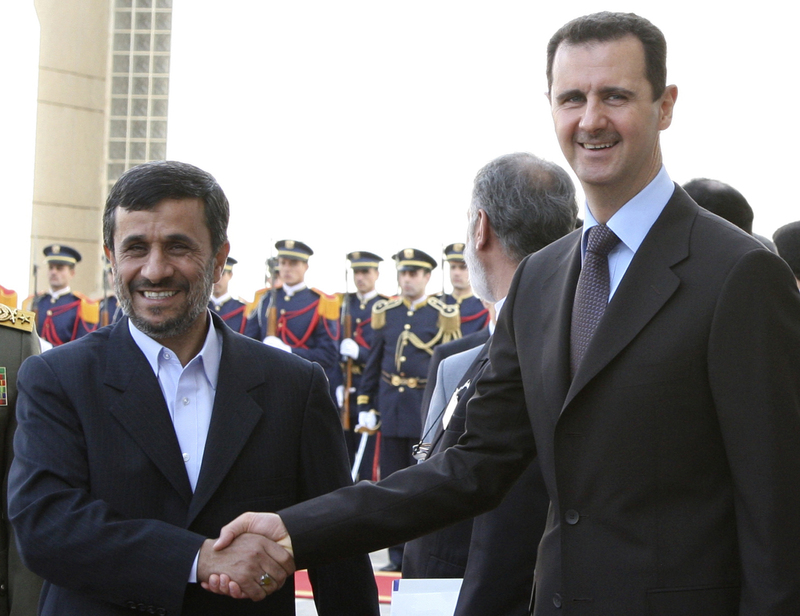 Assad is not as important for Tehran, as is ensuring that Syria’s power structure is friendly to Iran’s interests. Aware that a negotiated solution is the only way to achieve that, Iran has long called for political reforms in Syria. As statements from the past weeks show, Washington and Tehran are closer to each other than many might think. On its side, Iran gave full support to the UN probe into the alleged chemical attacks. “We completely & strongly condemn use of chemical weapons in Syria because Islamic Republic of Iran is itself victim of chemical weapons,” newly elected president Hassan Rouhani wrote on Twitter. The Supreme Leader was also relatively muted, calling a possible U.S. attack a “disaster for the region,” which would lead to defeat for the U.S. and its allies. For Khamenei, such talk is autopilot rhetoric and not necessarily an attempt to escalate tensions. At the same time, UN Under Secretary for Political Affairs Jeffrey Feltman paid a visit to Iran’s foreign minister Zarif and reportedly stressed that Iran has a crucial role to play in negotiating peace in Syria. Iran appears to have made efforts to do so: Last year’s Syrian National Dialogue meetings were held in Tehran, and in February of this year, Iran’s then-foreign minister met with Syrian opposition leader Moaz Al-Khatib in Munich. With the UN General Assembly coming up, inviting Iran to talk would be a good first step. By bringing Iran in, the West could give Rouhani an early success in his presidency and help bolster his moderate discourse. An escalation of the conflict, on the other hand, would boost militant hardliners in Tehran and corner Rouhani with less room for diplomatic maneuvers. Perhaps understandably, the Obama administration will be apprehensive of acknowledging its long-time foe as a legitimate part of a negotiation. But weighed against the prospective death toll of a prolonged conflict in Syria, it could be worth a try. Sune Engel Rasmussen is a journalist based in Washington, D.C.